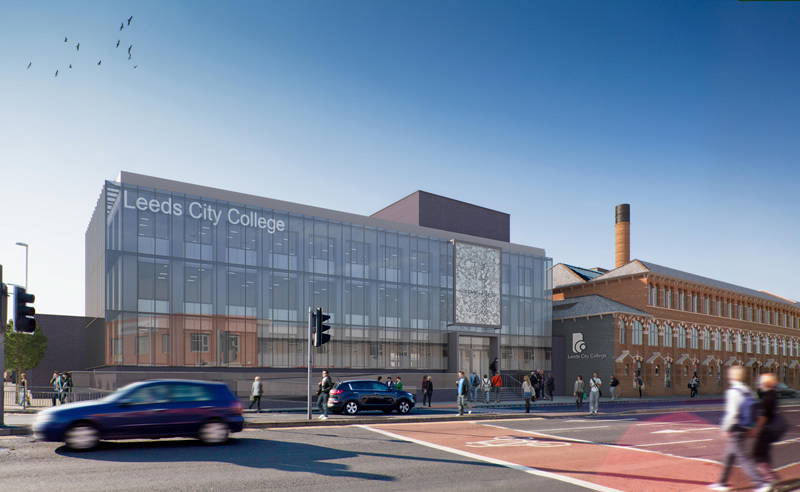 Leeds City College is in the process of rationalising its' current accommodation from operating across six sites currently to a two site campus. 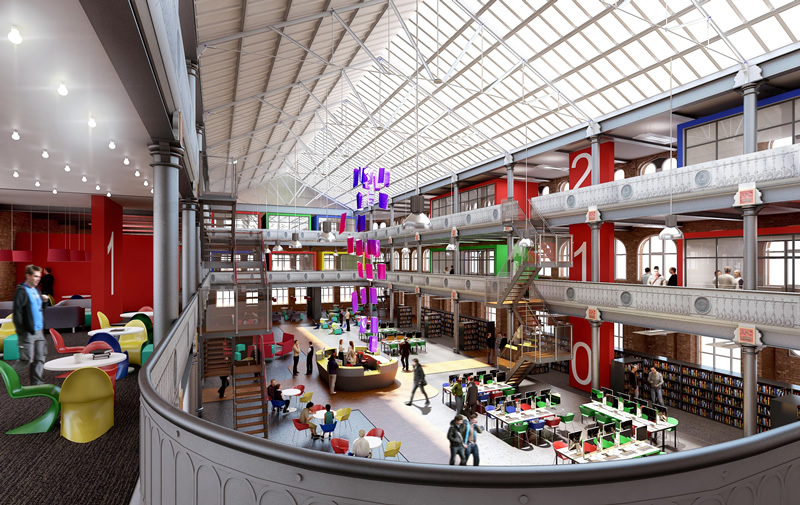 This ten year strategy will see the college re-new or refurbish all of its current estate which include five main campuses in Leeds. 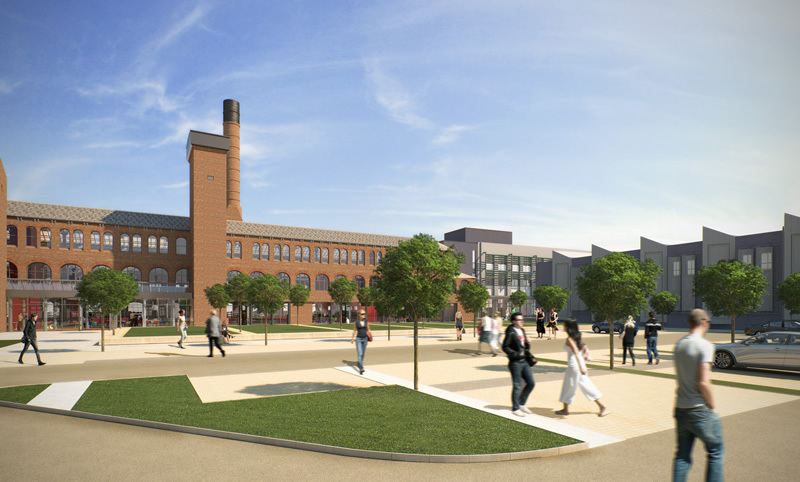 This commission represented phase 2 of the project and involved the relocation of the Thomas Danby building to a new site at the Print Works on Roundhay Road, Leeds. Silcock Leedham was appointed to provide Mechanical and Electrical Design Services to stage D and then was retained by the client to oversee quality and compliance through RIBA stages E to L.
We were able to use our previous experience in working with listed buildings to provide a servicing strategy that met modern educational needs, whilst proving a design solution that was sympathetic and in-keeping with the features of the listed building. 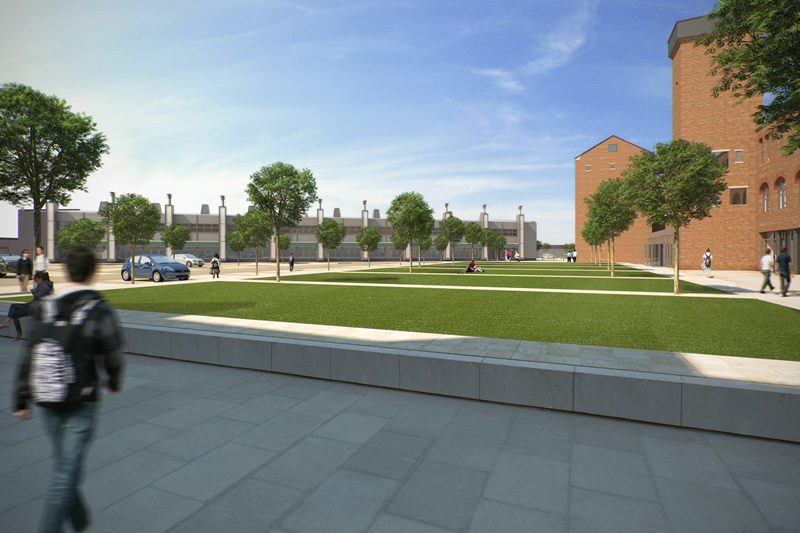 The site also had strict planning conditions in relation to the external plant and noise criteria and this had to be factored into the design strategies adopted for the vocational study areas and commercial training kitchens. As part of the stakeholder engagement process we consulted with all relevant Heads of Department and Heads of Faculty to establish their curricular requirements, facilities and equipment specifications and key suppliers and sponsors. This culminated in a series of 360 degree presentations to capture all reasonable requirements.